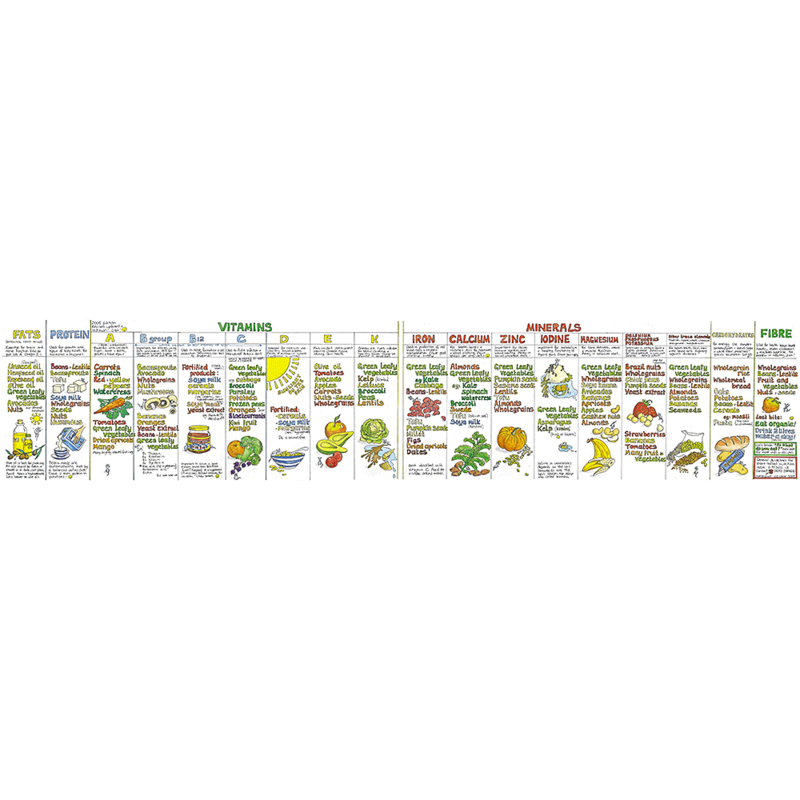 The Vegan Nutrition Wallchart was first published in 1992 and with over 300,000 sold continues to be as popular as ever. 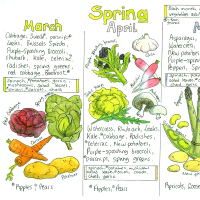 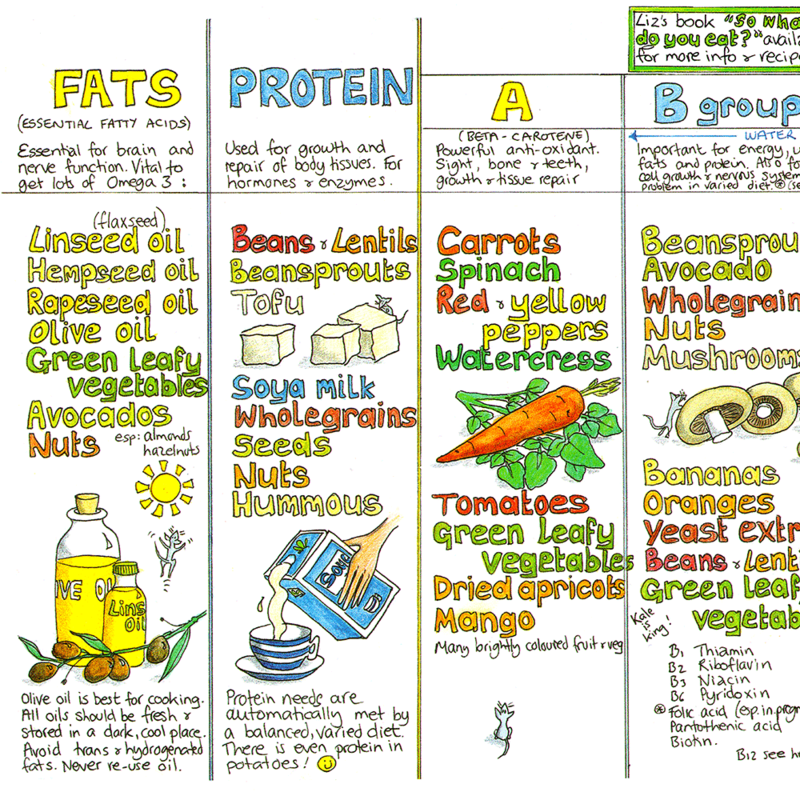 It is a hand-written and illustrated table showing some of the best plant-based sources of all the essential nutrients. 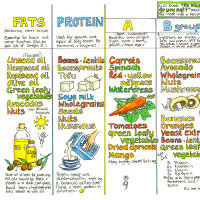 All the nutrient groups you will need to sustain a balanced vegan diet are featured in this chart: essential fatty acids, protein, vitamin A, B, B12, C, D, E, K, iron, calcium, zinc, iodine, magnesium, selenium, phosphorous, potassium, fluorine, cobalt, molybdenum, copper, manganese, chromium, fibre and carbohydrates.